In the past couple of days I had three separate people asking me if I knew what you get when you activate the Publishing Features in a site collection or site. That probably means that it’s time for me to write the last part of this three part series. Part one described the Enterprise Features and part two described the Standard Features. 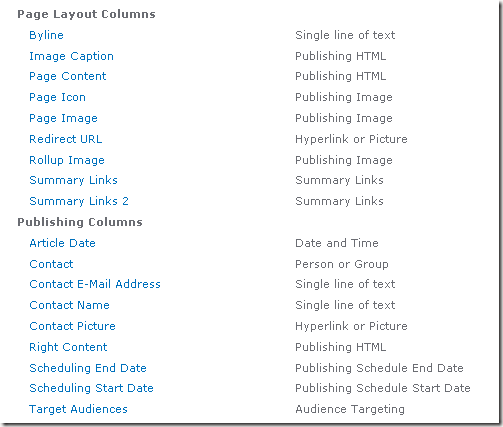 This is the third part and it will describe the SharePoint 2010 Publishing Features. In a SharePoint Server 2010 environment with Standard CALs you can activate the SharePoint Server Publishing Infrastructure. 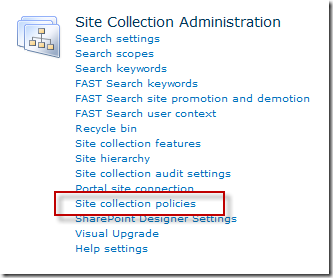 This feature will activate the site collection scoped SharePoint Server Publishing features. Below the (mostly hidden) features that get activated when you activate the SharePoint Server Publishing Infrastructure are listed. This feature enables the publishing prerequisites for a site collection. It doesn’t activate any other features, it just runs the code in the feature receiver to set up a site so it can use the publishing features. 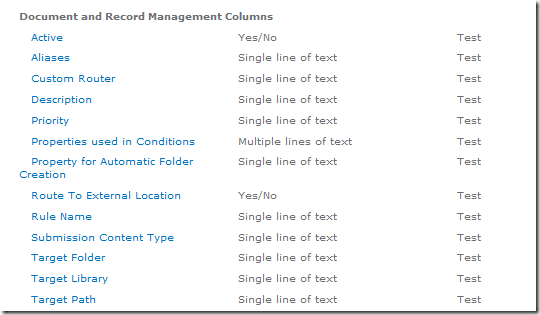 This feature enables the publishing resources on a site collection. The publishing resources are site columns and content types and site settings. The feature also contains three feature upgrades that are added to the feature when it gets activated. The publishing resources contain the page layout columns and the publishing columns and a whole list of hidden site columns. 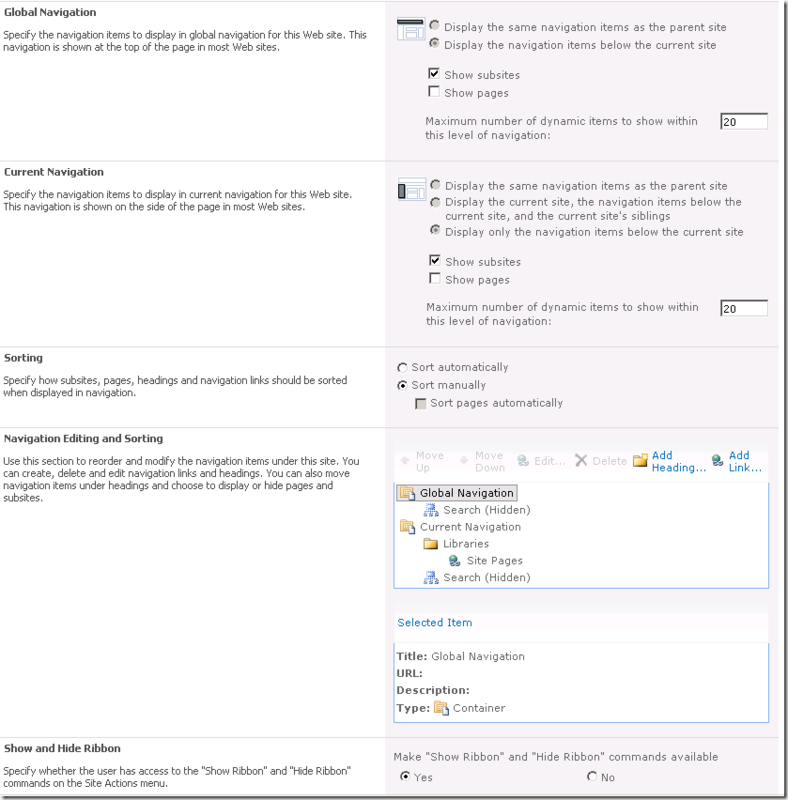 Several files, of several different types are added to your site when you activate the Publishing Resources feature by activating the SharePoint Server Publishing Infrastructure. This feature enable the portal navigation bars. This means it enables the enhanced navigation options on the site. On the site where the feature is activated the Top Navigation and Quicklaunch links on the site settings page are removed. 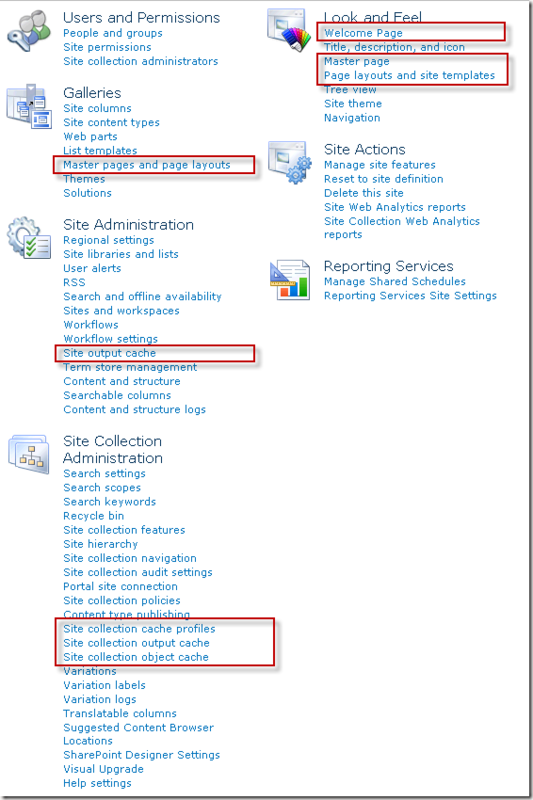 The Site collection navigation link is added to the Site Collection Administration section on the site settings page and the Navigation link is added to the Look and Feel section of the site settings page. This feature supplies several page layouts and master pages and adds them into the master page gallery of the site on which the feature is activated. Enables enhanced theming on the site. This feature adds all the functionality that is necessary to create an enterprise wiki to the site collection. It adds the last two content types in the Page Layout group, the Enterprise Wiki and Project Pages. Activating this feature will enable users to rate content in the site. 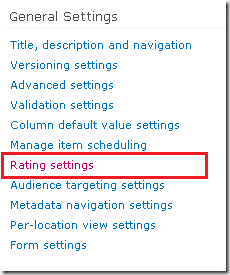 The feature will add the rating site columns and the Rating Settings link on the lists and library settings page. If you are using a SharePoint Server 2010 environment with Standard CALs you can activate the SharePoint Server Publishing feature. This feature enables a couple of site scoped features that add publishing functionality to the site. The first thing this feature will do when it gets activated is make sure that the SharePoint Server Publishing Infrastructure feature is activated at the site scope. If this is not the case the SharePoint Server Publishing feature will not be activated. You will have to go into Site Collection Features to manually activate the SharePoint Server Publishing Infrastructure feature.When the site collection scoped feature is activated the following feature will be activated as well. When this feature gets activated it will add the “Manage item scheduling” link to the document library settings page. On the Manage items scheduling page a checkbox can be checked to enable the scheduling of items that have content types that include start and end dates.Activation of the publishing feature also adds the Pages library to the site. In the pages library publishing pages can be created, managed and stored. The feature also adds several controls to the site and it adds several links to the site settings page. Some other links, like “Save site as template” are removed from the site settings page. Save site as template should never be used when the publishing feature is activated, not even if you know the url to the page where you can save the site. Saving a site that has the publishing feature enabled as a template can cause sites based on the saved template to break, or to have problems in them that only show up after users have been using it for a while. That’s it for this series in which I have listed all the features that are activated when you activate the standard, enterprise and publishing features at the site or site collection scope. I hope it proves to be useful to people, it was a lot more work than I expected it to be .